Even in 2011 there was a whole wealth of zombie games available. No one was really looking forward to yet another one, that is until the trailer for Dead Island came out. Everyone loved it, and the game that followed met some decent praise, but overall there was a sense of a missed opportunity for something greater. Here we are with Dead Island Riptide to give it another shot, but sadly, developer Techland has aimed wide of the mark once again. 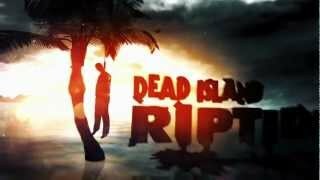 The timeline of the Dead Island series is a rocky downwards slope. That first trailer was fantastic, and the opening section of the original game was great. It felt like a proper free roaming zombie game taking place inside a gorgeous beach resort. From there, Dead Island dipped into linear corridors and uninspired quests without bringing in anything new to keep it fresh. It is therefore such a disappointment that the beginning of Dead Island Riptide follows the downward trend and is a claustrophobic trek through the corridors of an out of control ship. It does soon open up, but not in a very rewarding way. Not much has changed, which is strange considering nearly two years have passed since the release of the first game. I was constantly reminded of all the failings of the original, and was confused as to why they had not been fixed. The same cast of characters returns, with one extra addition, but the voice acting and facial animations remain weak. The new character brings fist fighting to the cast of ranged, throwing, and melee weapon experts, but does nothing to add to an all-round unlikeable group of people. A nice touch is the ability to bring in your character from the first game, which worked seamlessly for me. Even the story has not changed. 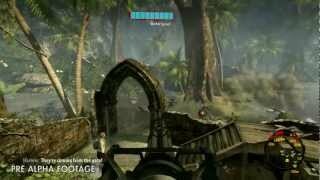 The game begins with you escaping the island of Banoi following the final scenes of Dead Island, only to become stranded once again on a completely new island, Palanai. The contrived story continues, as it turns out that there has also been a zombie outbreak here. Once again, you and your four fellow survivors who are immune to the infection must find a way off the island. To do this, you must help everyone on the island who has even the slightest problem. It becomes a pattern of going to a safe zone, picking up all the quests around, going out into the dangerous world to complete them, and then returning to gather your rewards. You might be gathering medical supplies, or finding weapons, or new tools to help you escape. However every quest boils down to going to the highlighted area on your map, beating away zombies, picking up an item, and then getting out of there. I found myself skipping the majority of quests that were not integral to the story, as I did not feel any benefit from doing them. Money is not hard to come by, and you get excellent weapons from doing the main quests, so I just stuck to those. Each new area you go to has a sort of Horde Mode, where you put up barbed wire fences and turrets and have to defend for a certain amount of time. If any of your fellow survivors dies, you have to restart the checkpoint, so you are constantly keeping an eye on your companions to make sure they are not under too much pressure from enemies. Strangely, if you die yourself you do not have to restart the checkpoint, you are simply out of the action for a few seconds. The penalty for death is minimal, you only lose a handful of your cash, which as I mentioned is not scarce. Since dying is not that severe, the fear factor of the zombie horde is diminished drastically. The first few times a zombie pops up and attacks you because you thought it was dead already is frightening, but when it happens every few minutes it just becomes tedious. The combat is fine, just like in the first game. You can turn on analogue fighting, which allows you to free aim with your melee weapons. This helps you target specific limbs, which will break or be cut off depending on what type of weapon you use. You will have to utilize your kick to keep the enemies at bay, otherwise you will quickly become overwhelmed. However, gone are the days of being able to infinitely kick your way to safety, as each kick uses up a portion of your stamina bar. If empty, you will not be able to run, jump, and your attacks will do minimal damage. A new feature is the option to dive from a high platform onto an unsuspecting zombie below, usually resulting in an instant kill. Upgrading and modifying your weapons is still fun, especially with some of the crazy combinations you can get. You find endless bits and bobs in containers around the world, all of which can be used in some way to create a weapon mod once you have found the blueprint for it. I spent the majority of the game running around with a poisonous fire axe and a barbed wire dirk, but there are many other mods available.